Valentine's Day is around the corner, however I like to use my stamps as much as possible, so this "sending love" card could be used for many more reasons than just Valentine's Day. this card sitting on my desk all week. I decided to make a card using those as little frames for "something" and those little hearts popped out at me from the Sealed With Love stamp set. I used Watermelon Wonder to stamp my images and then I used Flirty Flamingo accents on my card front. I'd love to know what you think, so please leave me a comment. 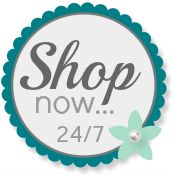 Use my Online Store to order Stampin' Up! any time. Check out the great ways to save money and get more by using Sale-A-Bration rewards or purchasing your custom $125 kit, which you get for $99+ tax. FREE shipping!